The time is ripe to recap the many Marvel cosplays that appeared at this year’s San Diego Comic-Con and we think the best greatest cosplay would be the human-size Infinity Gauntlet. Make no mistake here. 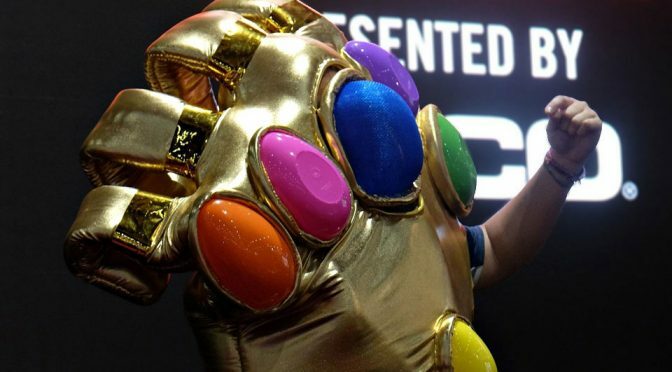 We are not talking about a life-size space glove here; we are talking about a person dressed up as the sought-after gauntlet. See what I mean. 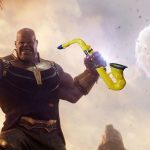 Too bad the space stones do not light up and also fortunately, it can’t snap its fingers. 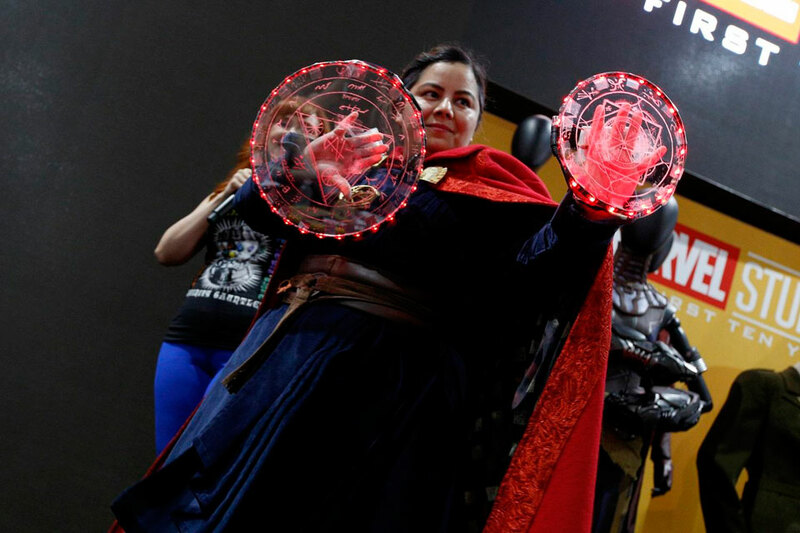 It does have a pair of legs that allow the glove to navigate the convention floor at will and it has a pair of hands too. 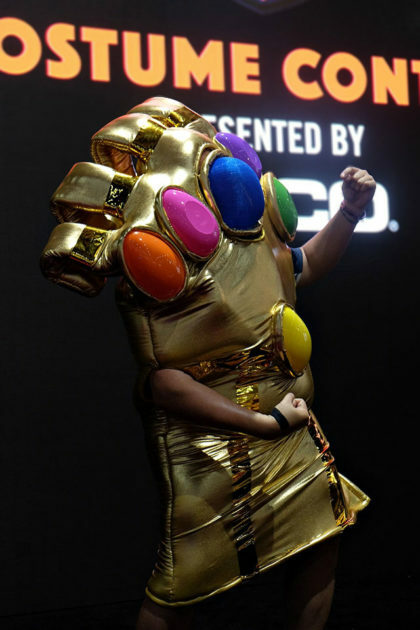 Even the rest of the cosplays were impressive, I still think the human-size Infinity Gauntlet cosplay was the one true great cosplay at this year’s SDCC. 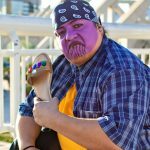 You can see photos of Marvel cosplayers gathering on stage at the Marvel Becoming San Diego Comic-Con Costume Contest HERE.